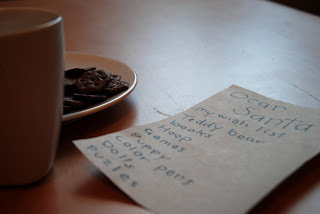 Open Thread: What's On Your Christmas Wish List? The internet is full of Christmas wish lists, everyone telling us what we need or should want under the tree. There are lots of gadgets, electronics, books and stuff for the genealogy enthusiast, all claiming to make our family research just a little bit easier. Rather than tell you what I think should be on your list I would rather hear from you about what is actually on your wish list. It’s your turn, what’s on your Christmas Wish List?